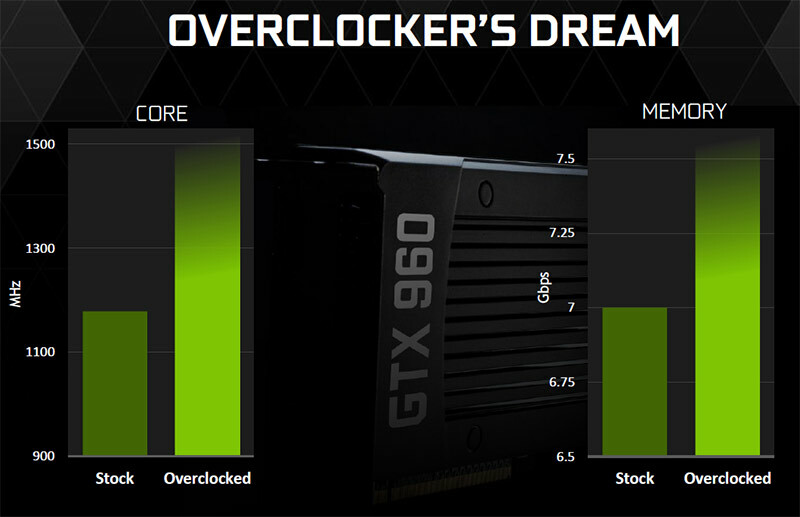 We spent a day overclocking the ASUS STRIX GTX960 due to the fact that NVIDIA said this card was an “Overclocker’s Dream” and we just wanted to see what NVIDIA meant by that. 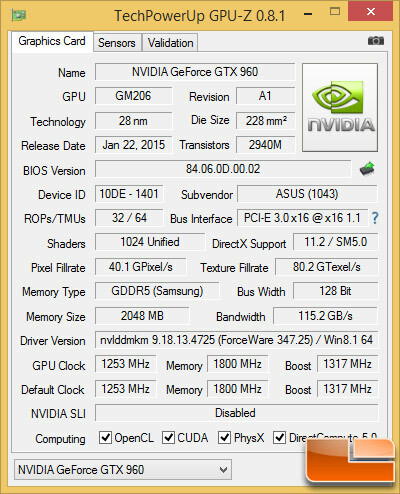 We installed ASUS GPU Tweak version 2.7.8.0 and went about overclocking the GeForce GTX 960 video card! 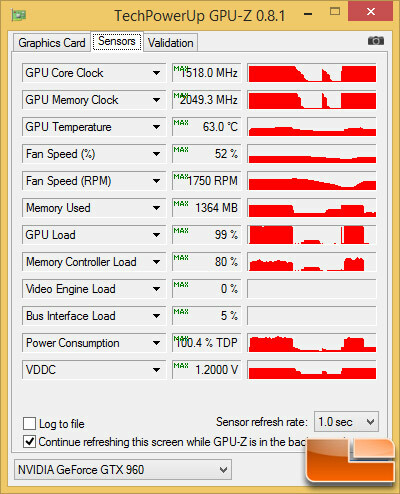 You can use whatever software utility you like for overclocking, but this is the one we used today. In case you forgot, the ASUS STRIX GTX 960 graphics card is already factory overclocked up to 1253 MHz base with a boost clock of 1317MHz and the 2GB of GDDR5 memory is clocked at 1800MHz (7200 MHz effective). Let’s see how much higher we can get a fully enabled GM206 Maxwell GPU with 1024 CUDA cores! 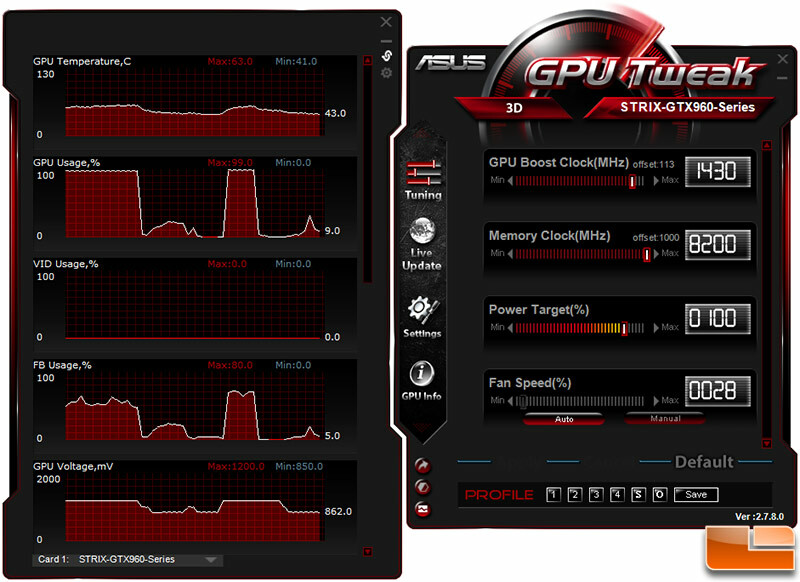 The ASUS GPU Tweak utility will let you overclock the core of the GPU by 150MHz and memory by 1000MHz. 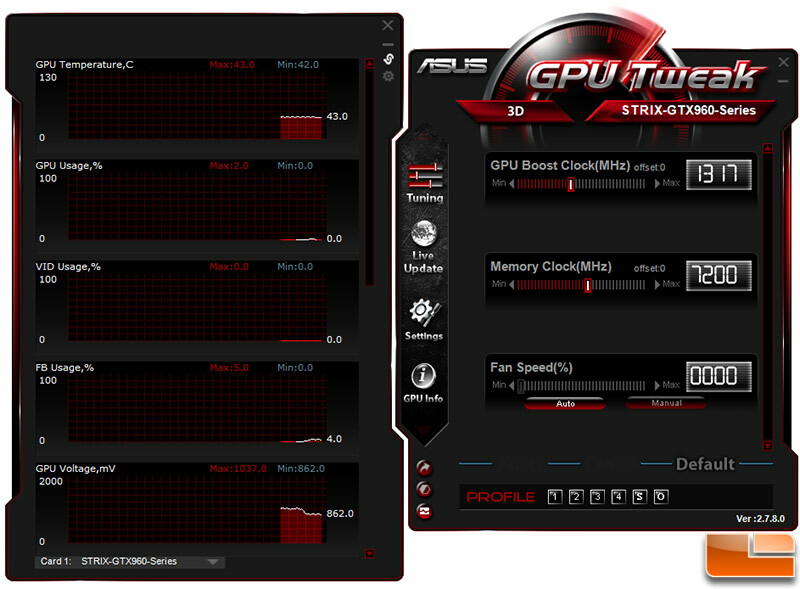 We were able to overclock the core with full stability by 113MHz and we used all 1000MHz made available to us by the utility on the 2GB of GDDR5 memory. We didn’t bother with overvolting the card and tweaking the power target as NVIDIA said you don’t really need to do that on this particular card. This overclock meant that we were running at 1518MHz at times thanks to NVIDIA Boost 2.0 on the core and 2049.3MHz (8197.2MHz effective) on the 2GB of GDDR5 memory. This card is an overclocking champ, but we wish we weren’t limited on the memory overclock as there might have been more there! By overclocking the ASUS STRIX GTX 960 DirectCU II OC 2GB video card we were able to take the stock score of 7050 and raise it up to 7733. 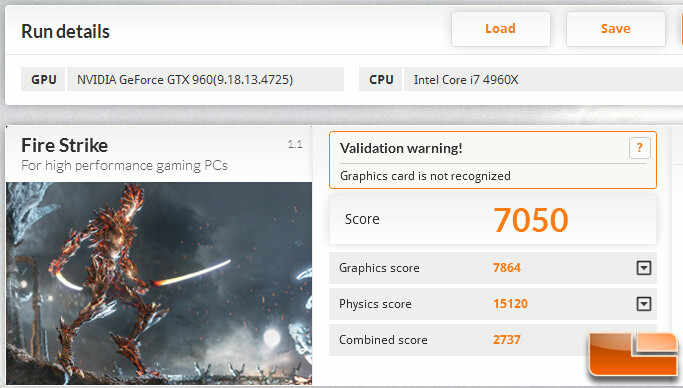 This is a 683 point increase in our overall 3DMark score, which represents a performance gain of 9.7 percent. 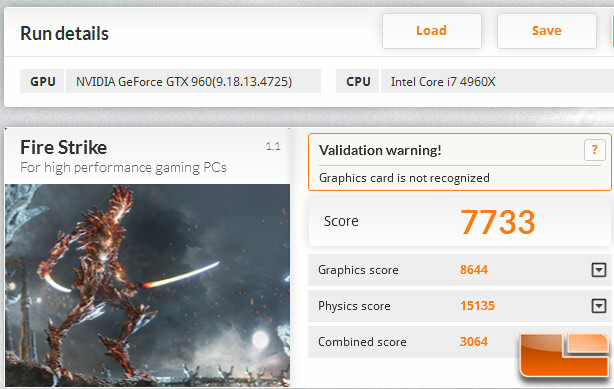 We’ll take a 10% performance boost thanks to a little overclocking any day!